Generally, It is used for location addressing and network (or host) interface identification purpose. Now let's take another living example. Tell me how Google came to know about your current location when you view Google Maps? It simply uses IP address to find your device's location. Note that, each device has its own unique IP address. Basically, there are two versions of IP address which are IPv4 and IPv6. IPv4 is a 32-bit number which is still in use today. In 1995, a new version of IP address, IPv6 was developed. Unlike IPv4, this is a 128-bit number. Both of them are written in human readable notation such as 10.134.70.163 and 2005:fe5:0:3257:0:139:7:2 respectively. It's pretty much easy to find out the IP address of your computer or laptop in Windows OS but what if you've an Android phone. 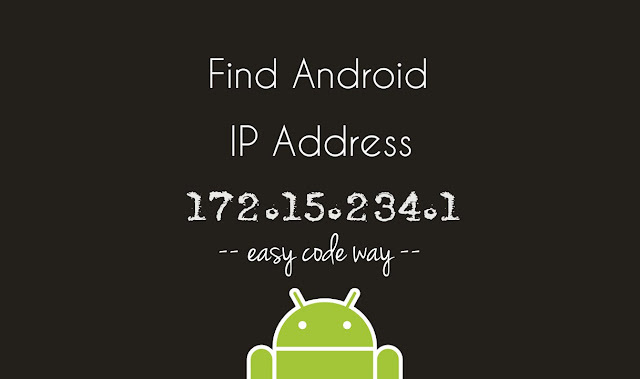 Of course, your Android also have its own IP address. After all, it's a communicating device. So here in this tutorial, I will guide you how to find out this unique number of your Android phone in 2 different ways. Here you'll find your IP address. Either write it on paper or long press to copy it in clipboard. Note: If it shows an unknown value, first turn on the mobile data or Wi-Fi and try again. 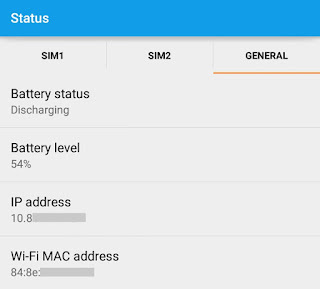 From the same page, you can grab other useful information about your phone such as battery status, serial number, up time, Wi-Fi MAC and Bluetooth address. Remember that, don't share your IP address with anyone for some security reasons. First open your favorite web browser (such as Google Chrome or UC) and make sure to turn on mobile data or Wi-Fi. Now go to Google homepage. In the search box, type "What is my IP address" (without quotes) and press OK button. In the search result page, you'll find the IP address number of your Android phone at the top. Finally select and copy it in the clipboard. Note that, this is your public IP address but it doesn't mean that it's publicly visible to everyone. Only you've permission to view it. Again make sure to keep it safe and secure. Google use this IP address to find your current location which is used to improve results accuracy such as to locate you on Google Maps or to give you the live weather forecast for the town you're in. In first method, you'll find the device's internal IP address which is assigned by router connected to your phone. While on the other hand, mobile operator and ISP (Internet Service Provider) also provide a so-called public IP address which you can find from Google. Apart from these methods, there are a couple of third-party apps available on Google Play Store for free which can also help you find out the IP address of your Android phone but why to install them for such a little task and that too when we've other official tools. So use these methods only. Finally if you've any doubts, feel free to drop them in the comments. I am always here to help you. Stay tuned for more interesting tutorials. Tell me where you're going to use this IP address. 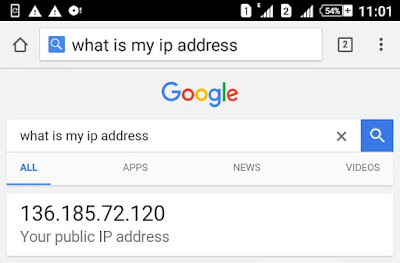 can you find the ip address without your phone?